When we got our first look at Gal Gadot as the titular heroine in Wonder Woman 1984, I admit that I felt simultaneously excited and underwhelmed. 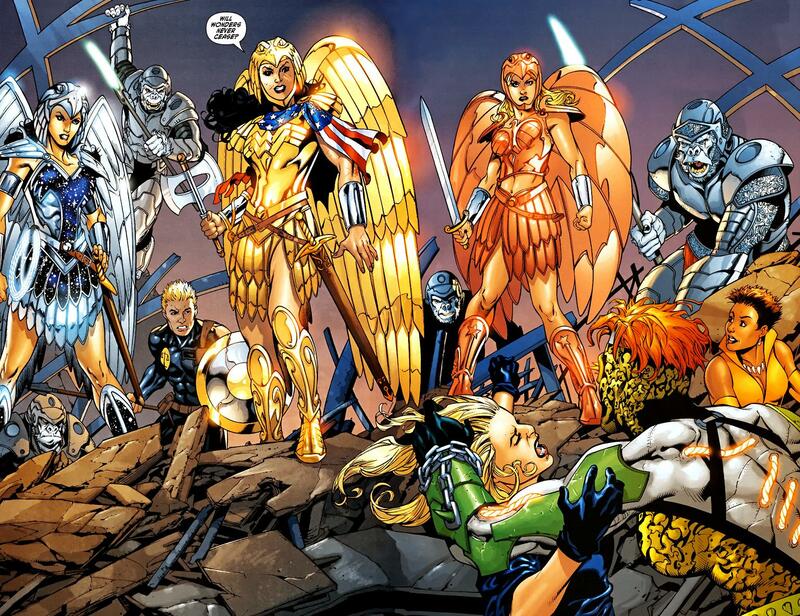 Don’t get me wrong, the Amazon Warrior looks fantastic as ever, but I had been hoping to see her wearing an all-new costume. To date, her threads donned in Batman V. Superman: Dawn of Justice, Wonder Woman and Justice League were all essentially the same as what we’re seeing in her solo sequel. Aside from brightening the colors, the wheel hasn’t been reinvented. Then again, Patty Jenkins and her crew may be going with the “if it’s not broken, then don’t fix it” approach, which is entirely understandable. It’s just that ever since Michael Keaton rocked that geometric suit in 1992’s Batman Returns, we’ve come to expect our superheroes getting visual upgrades with each successive cinematic outing. Well, according to a source close to We Got This Covered, Diana Prince will indeed strut her stuff in at least one other costume when Wonder Woman 1984 storms cinemas next year. 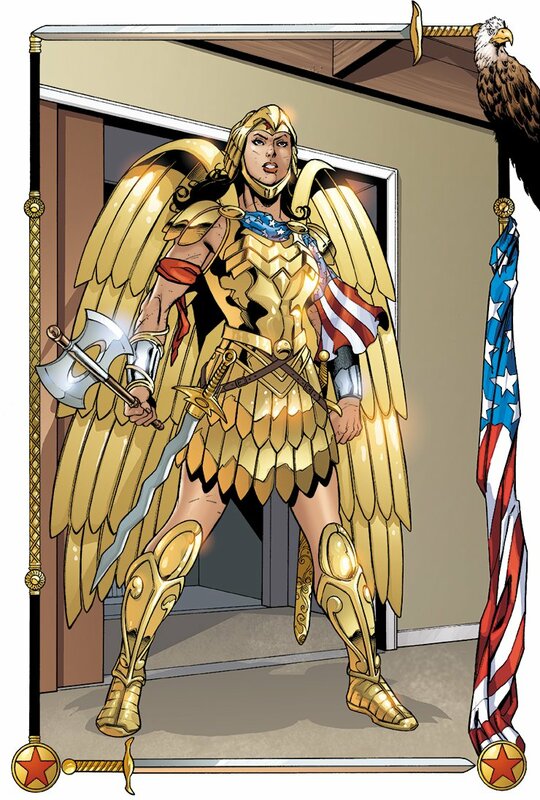 As it turns out, it’ll be the cult favorite Golden Eagle Armor. If you’re unfamiliar with the look, feel free to check out the comic book panels that I’ve included in the gallery below for visual aid. Aside from telling us that said armor will factor into the piece, our source hasn’t provided any other details. Because of that, it’s hard to say how often the attire will appear, but my better judgment says that it’s fit for a climactic third act battle – or perhaps even something comparable to the first picture’s No Man’s Land scene. As you can imagine, putting that gear together is no simple task, so we’ll have to wait and see if the costuming department fitted Gal Gadot for one impressive rig, of if some CGI will be incorporated to help bring this vision to life. Either way, I’m sure the toy and collectible companies are digging it.